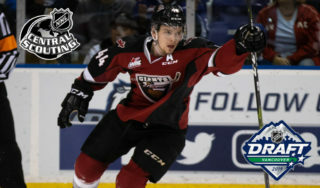 Tonight in Langley, the Vancouver Giants take the ice at home for the first time since early April. Ironically the opponent remains the same. 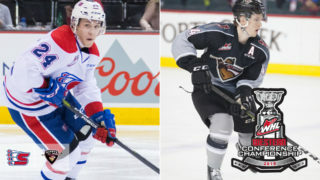 The Victoria Royals are in town to help the Giants launch their weekend pre-season tournament in the LEC, which also features the Prince George Cougars and Everett Silvertips. 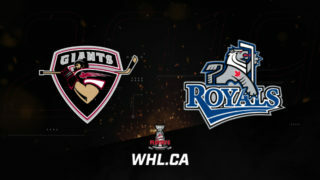 Both the Royals and Giants are undefeated in regulation so far in pre-season play, and tonight the audition phase continues for both clubs as the WHL regular season draws closer. Dante Hannoun: 20-year-old Dante Hannoun has yet to appear in a pre-season game for Victoria but that may change tonight. Hannoun is coming off his best statistical season in the WHL where he posted 79 points in 66 games. In seven playoff games against the Giants, Hannoun posted three goals and nine assists for 12 points. Parker Malchuk: 17-year-old Parker Malchuk signed with the Royals in August and is off to a great start offensively in the pre-season. His three assists rank him tops among all Victoria blueliners in scoring so far. He went undrafted in the WHL Bantam Drafted, but was selected first overall by the MJHL’s Neepawa Natives in the 2016 MJHL Draft. Ralph Jarratt: 20-year-old Ralph Jarratt is a menacing presence on the back-end for Victoria. The 6’2”, 216 pound product of Fort St. John, B.C. was named the Royals Top Defenceman a season ago because of his steady two-way play. He has yet to suit up in the pre-season. Griffen Outhouse? : The 20-year-old from Likely, B.C. hasn’t played yet in the pre-season, but that could all change this weekend as early as tonight. Griffen Outhouse has a career regular season record of 18-4-1-0 against Vancouver over the course of 24 appearances. 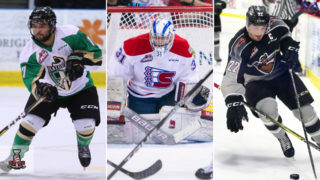 New Faces: The Victoria Royals ‘should’ be a much younger squad in 2018-19. 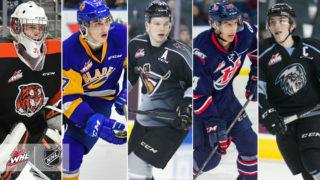 Names like Parker Malchuk, Alex Bolshakov, Phillip Schultz, Remy Aquilon aren’t house-hold names yet for Victoria – But they could very well be by the end of the 2018-19 campaign. All have made their presence felt positively so far in the pre-season. Brayden Watts: The 19-year-old product of Bakersfield, CA comes into tonight’s game with three goals through two pre-season games to lead all Giants in that category. He had 17 goals a season ago, and Watts will be looking to surpass that total in a big way in 2018-19. Cyle McNabb: The 18-year-old from Winnipeg, MB scored twice last weekend for the Giants and is one of three Giants to have recorded multiple goals so far in the exhibition season. McNabb suited up in 61 games last season and registered a goal and seven assists. Bowen Byram: The reigning Western Conference Rookie of the Year nominee had one assist in his pre-season debut last weekend against Spokane. The Cranbrook, B.C. native should get plenty of playing time this weekend at home, particularly with the likes of Dylan Plouffe, Alex Kannok Leipert and Kaleb Bulych away at NHL camps. Matt Barberis: 20-year-old Matt Barberis will be the oldest defenceman suiting up for the Giants this weekend and his veteran poise and experience will be relied upon heavily. Barberis is a strong two-way defenceman who can chip in big minutes in all situations. Trent Miner: Trent Miner gets the nod tonight for the G-Men in their home pre-season debut. The 17-year-old draft eligible netminder is 1-0 so far in the exhibition season with a 1.94 goals-against-average and a .923 save percentage. 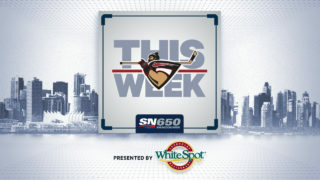 Take Advantage of the Opportunity: With six players unavailable due to NHL camps, there is ample opportunity this weekend for several young Giants to step up and be counted. Whether it’s offensively, defensively, or otherwise – The Giants will be replying on their depth to get them through this weekend.